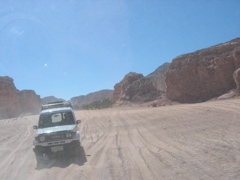 Today we took a full day 4-wheel drive safari. 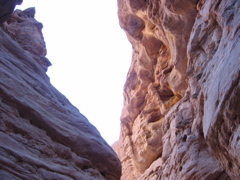 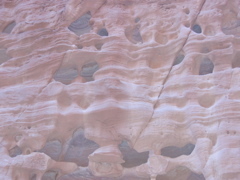 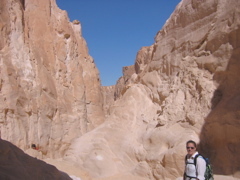 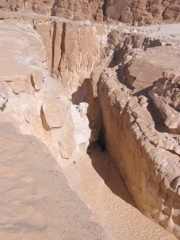 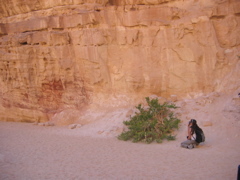 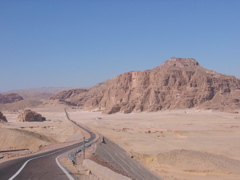 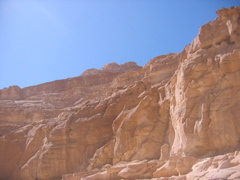 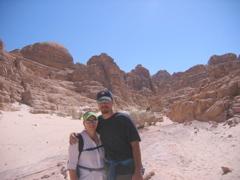 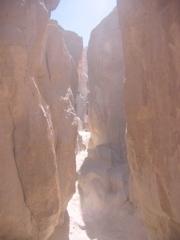 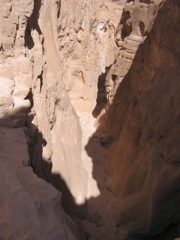 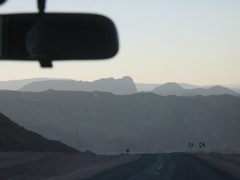 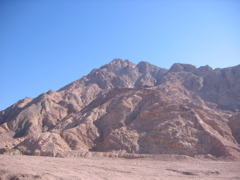 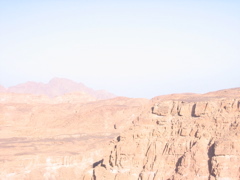 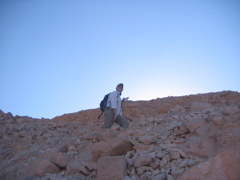 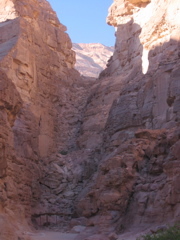 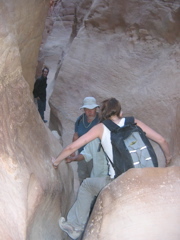 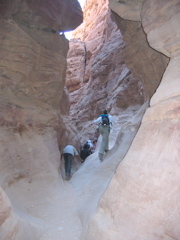 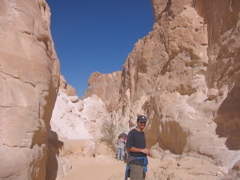 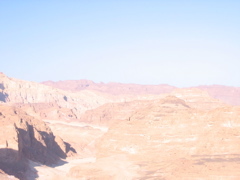 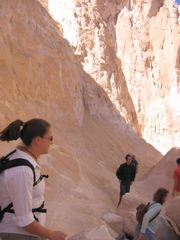 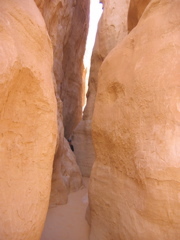 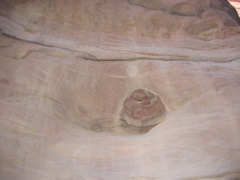 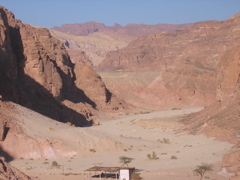 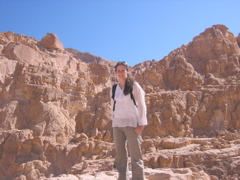 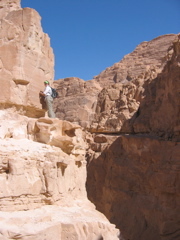 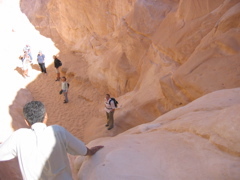 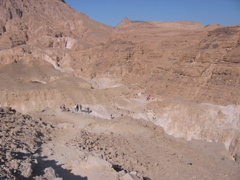 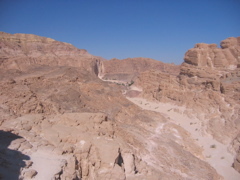 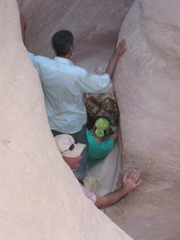 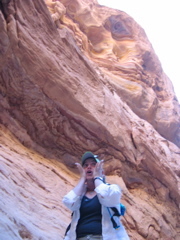 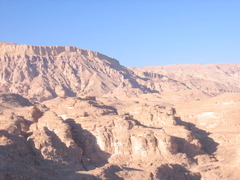 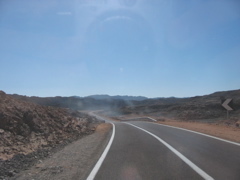 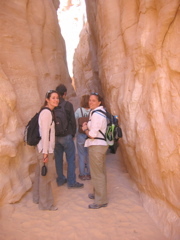 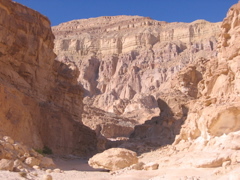 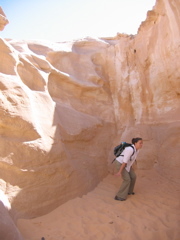 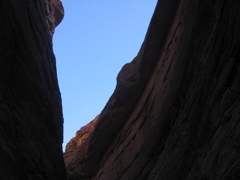 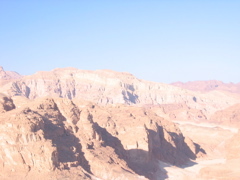 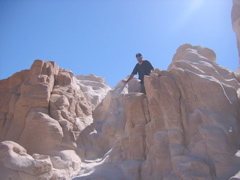 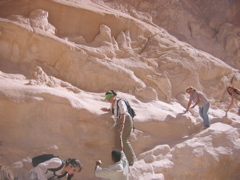 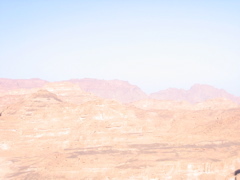 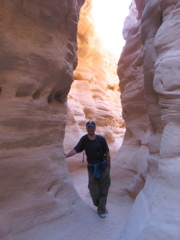 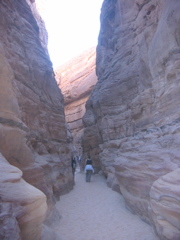 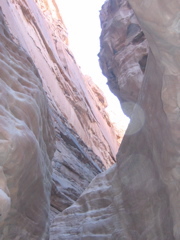 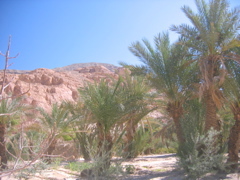 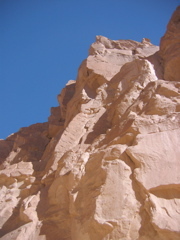 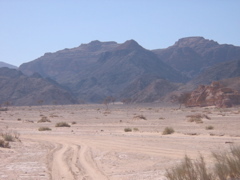 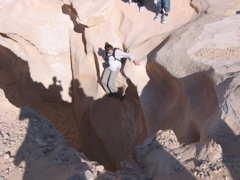 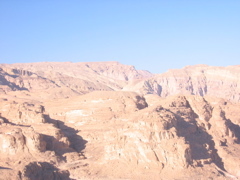 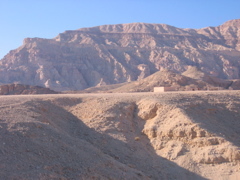 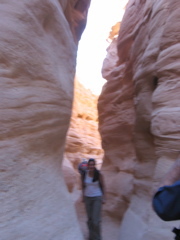 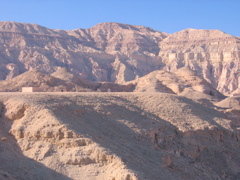 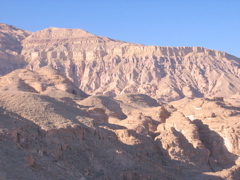 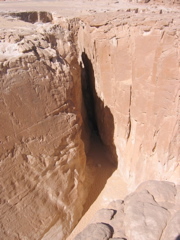 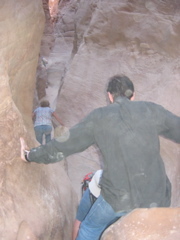 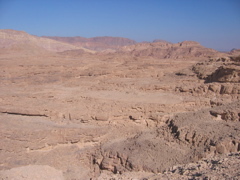 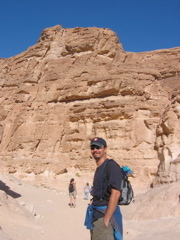 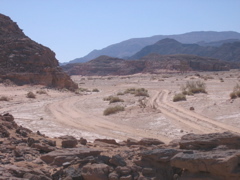 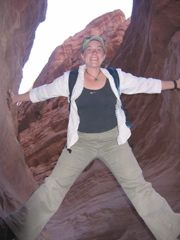 We headed into the interior of the Sinai Peninsula to the white canyon, a steep sided, narrow canyon that starts very suddenly in the middle of the desert. 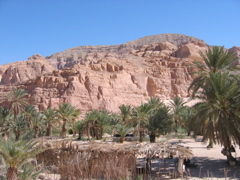 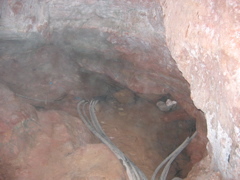 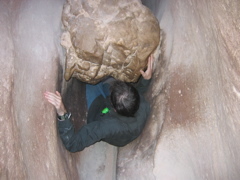 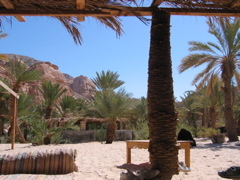 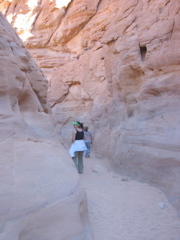 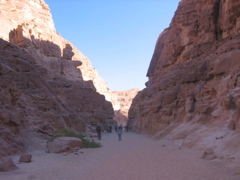 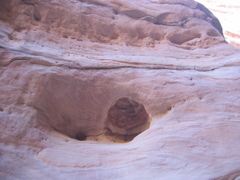 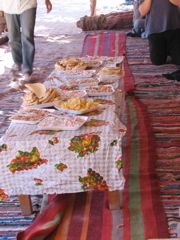 We scrambled through the canyon and emerged into a Bedouin Village for a local, traditional lunch. 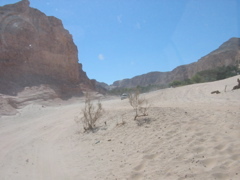 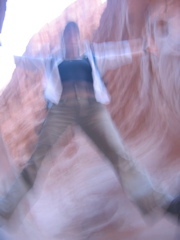 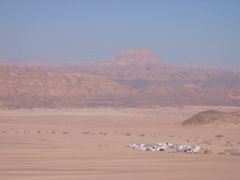 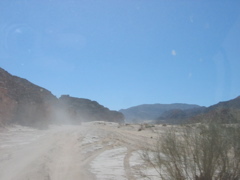 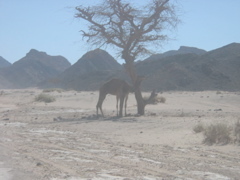 We then took about a 2-hour 4x4 ride on a sand/dirt road through the desert. 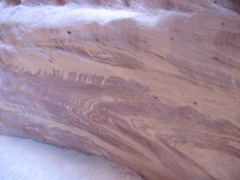 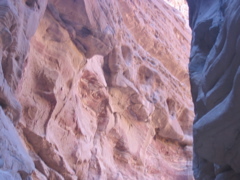 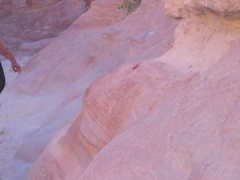 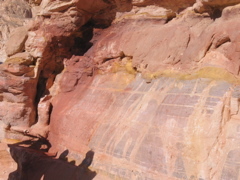 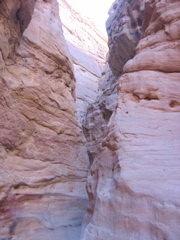 We arrived at a much larger canyon called the color canyon, which also featured steep, narrow passages as well as striking red designs. 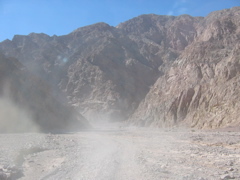 At this point we were closer to 20 km from the Isreali border. 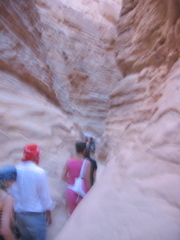 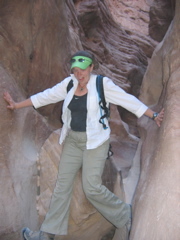 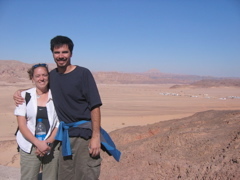 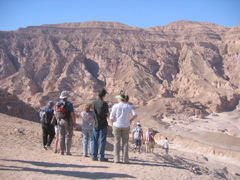 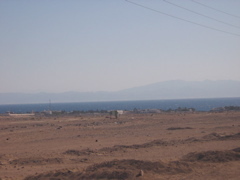 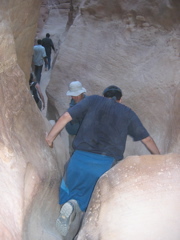 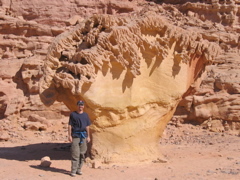 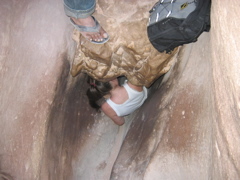 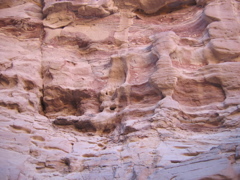 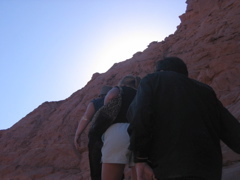 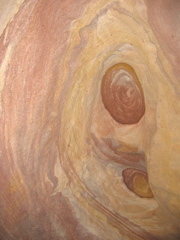 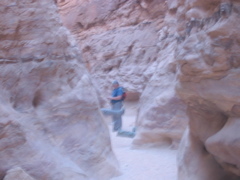 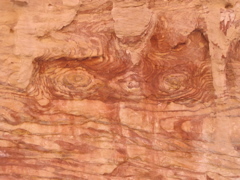 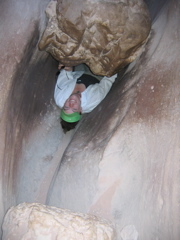 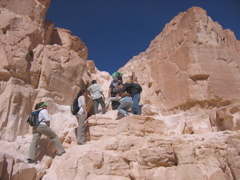 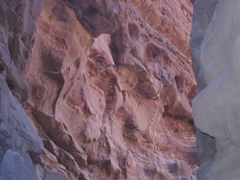 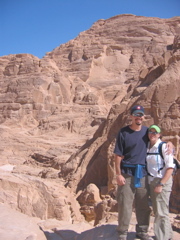 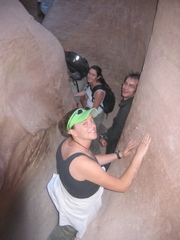 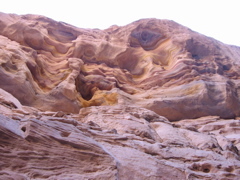 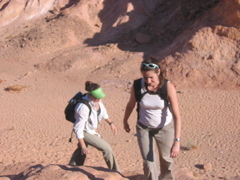 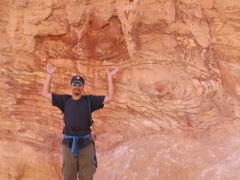 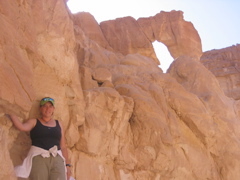 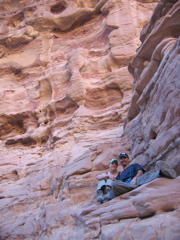 After hiking through the colored canyon, we headed back to Dahab.